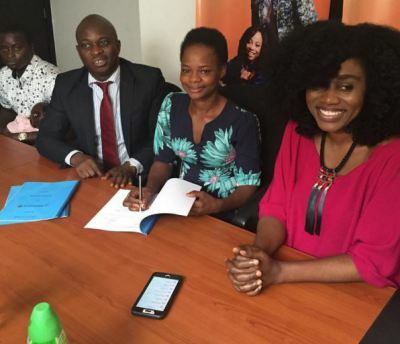 Online shopping brand, Pay Porte, has officially, signed TY Bello’s fashion discovery, Olajumoke Orisaguna, the former Agege bread seller as it’s official 2016 campaign face. Celbrated photographer TY Bello, Jumoke’s husband Sunday, Jumoke’s lawyer Yomi Adeseyoju, publicist AzukaOgujiuba, Irene Kayoma, Head-Corporate Strategy/Planning and Noble Igwe were present at the signing. Olajumoke has now joined popular On Air Personalities, Toke Makinwa and former Big Brother Africa first runner-up, Tayo Faniran as a fellow brand ambassador of Payporte. 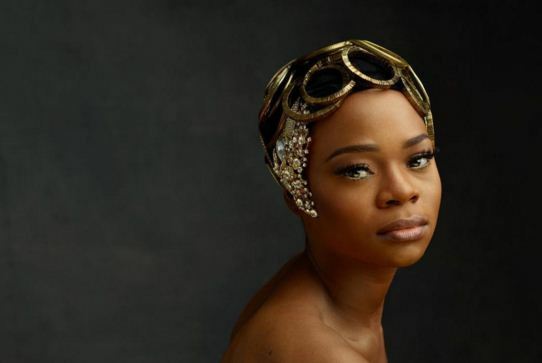 Basking in the glow of her new fame and new life, Olajumoke, also enjoyed massive media exposure locally and internationally, the latest being the international news network, CNN. Olajumoke Orisaguna, the new campaign face for online shopping brand Pay Porte. According to CNN, monitored by NAN, renowned Nigerian photographer TY Bello was behind the change in Jumoke’s fortunes. TY Bello was photographing U.K. popstar TinieTempah, when Jumoke walked into the shoot. Bello said that Jumoke seemed a little confused, when some people were asking her to walk past really quickly, others were asking her to stay, and she was just in limbo, she added. “I said ‘is it okay to take your photograph?’ And she nodded ok’’ Bello added. A teary-eyed Olajumoke said she never expected her fortunes to turn around like this. My friends have told me they saw me on TV and they are really happy. My parents cannot believe their own child can become such a success. They are all so happy,’’ she said.